Just 90 seconds is enough to describe the Amazon Go shop without staff. For us 40 years of experience is not enough to train a member of staff. Who is right? Have you seen the video which, in 90 seconds, tells of the revolution of the shop? We have. And here is our reply to the above question: we are both right. It’s obvious that the logic of the large retailers (we believe that, as well as Amazon and its Amazon Go, other giants of online sales such as AliBaba for example) are heading towards partial and total automation. If you feel like a hamburger you only have to go into a MacDonald’s to find yourself “face to face” with a gigantic screen where you can make your order by simply touching the screen. If you want a new pair of jeans, all you have to do is log into pop-up shop Zara in London and you will have a totally technological shopping experience: almost immediate delivery of your order made online (the same day if you order by 2pm), you will be able to see the sizes which are available by simply looking in the mirror (the mirrors are smart interfaces with RFID incorporated), and finally you can, of course, pay with your Smartphone. Retail giants like these study the most advanced technology and carry evolution forward. Like the true pioneers they are, they open the road to those who follow. The volume of sales is enormous, the markets are worldwide and the technology is bound to artificial intelligence and machine learning, more advanced with every day that passes. We are fascinated by this and study – in our small way – the technology which can help us do a good job and which helps us to please our clients. For BertO, the Internet and all that it involves has been a forward looking choice, so much so that we have made Google look towards Meda and… we have not changed. We are still the same, still loving technology as much as our product. And here we are at the hub of our reasoning. What we are proposing is something unique, made-to-measure for each person, something different to that which has been done before and different to all that which will follow. Of course, there are collections and models from which to choose. 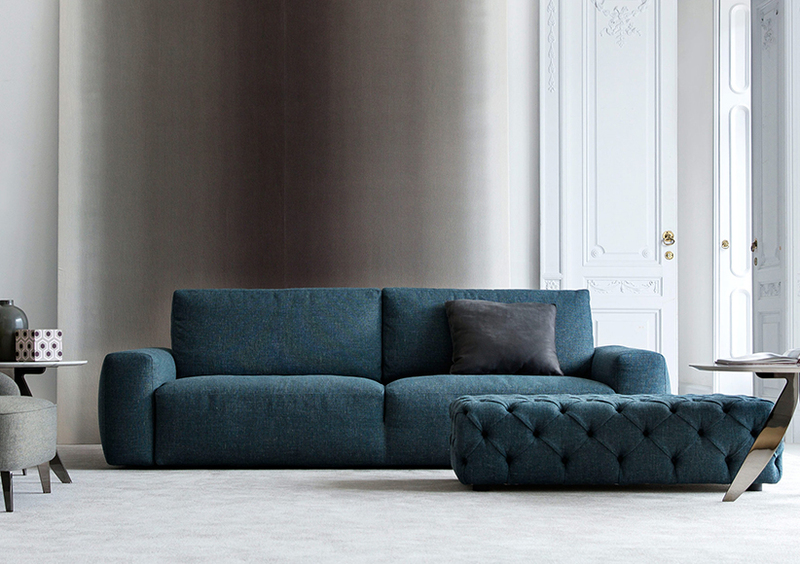 But ours is “sartorial” upholstery and in our case sartorial does not only mean that we realise your furnishing project to the millimetre, personalising both the functional and aesthetic aspects in accordance with your personal preferences or project. It also means that from the first “good morning” when a client crosses the threshold of one of our shops, one of us in the Berto Salotti Showroom – whether in Brianza, Rome, Padova or Turin – will take that person by hand and offer a professional service which is anything but technological. We offer a service which comes from knowing the territory and the mentality of its inhabitants (you certainly don’t need us to remind you that Turin and Padova are different places with different cultures, different visions, the history of our country has taught us this). It comes from the ability of a master craftsman to not only do his own job but to be able to transmit this mastery to a young craftsman who has fully understood these values and who is eager to carry them forward. It comes from the willingness to communicate online. It comes from communication always and only aimed at the reasons to choose us, always from the client’s point of view and always respecting his intelligence. But it comes, above all, from just one beautiful and damned, wonderfully fascinating but equally difficult thing. The world of information technology is rapidly learning different ways of using the enormous flow of data that we all put into circulation every day, simply by living, by using our phones, credit cards and the Internet. 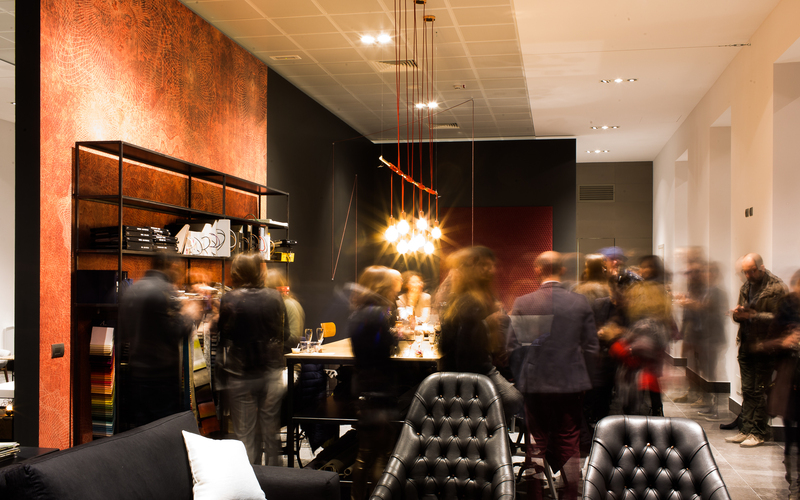 This is how technology enables shops without staff to thrive, simply by using “big data”. Big data, an enormous quantity of information. In our case, an opposing point of view comes naturally. In reality it’s as if we live on “small data”. 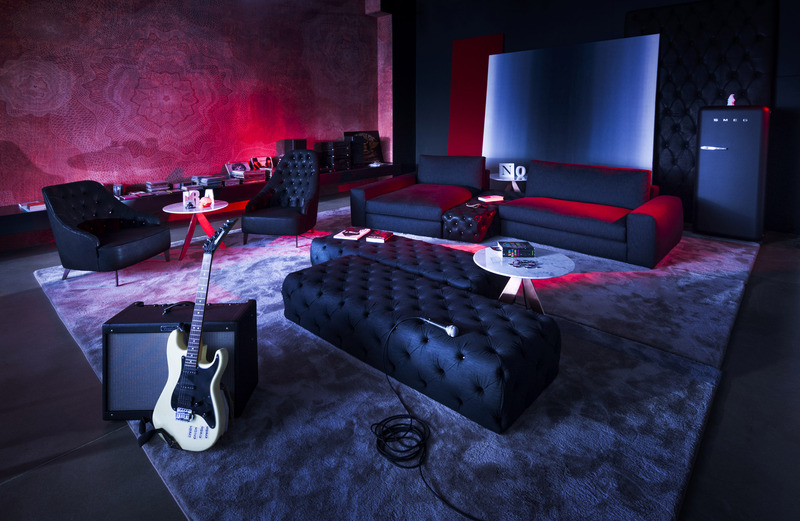 Small data, sometimes as small as the moment in which one single person strums on an electric guitar while relaxing in the BertoLive area of one of our showrooms. Maybe he’ll buy the sofa he’s sitting on or maybe not. But he has already given us a gift by making such a spontaneous and personal gesture. And maybe that gesture, those few chords on the guitar, will give pleasure to another client who is sitting nearby and it will make a good impression. They are beautiful, these lovely spontaneous actions which often take place in our shops throughout Italy and we are aware of this. But they are also difficult when it’s about setting up, starting, training, making people understand. One of the most complex and satisfying aspect for us is training our staff, slowly leading them towards the type of logic in which they have neither the old, traditional role of a shop assistant but neither are they the robots of Jeff Bezos, Jach Ma or Pablo Isla. To explain this concept, we can use a small comparison. The founders of our society are unique individuals. All the staff in our society are unique individuals. The products of our society are unique products. The clients of our society… how could we consider them in any way other than that which they are, unique individuals? Individuality cannot be traced, even with all the data in the world. And this, for us, is the focal point. It all comes down to individuality, the other face of diversity. We are all different therefore we are all unique individuals. Which brings us to the theme of identity. 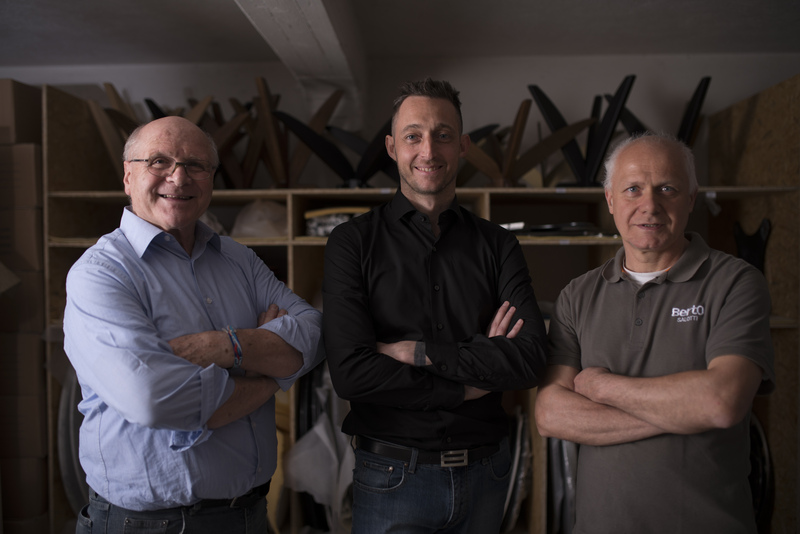 So for us opening shops and working in the showrooms means continually challenging ourselves just to be ourselves- no longer and not only in Meda, in Brianza, where we started – but also in Rome, in Turin, anywhere. This may seem simple, it may seem that we are using a formula, it may seem to be a simple transmission of information to new arrivals. Nothing of this is true, absolutely nothing is simple. Sometimes it seems to us that, as the title suggests, 40 years experience are not sufficient to train a new staff member. But it doesn’t matter, we know that it will take time. We realise that this new boy is not a collection of data but an individual, the expression of his background, his culture, his family, his studies and his experiences – and it is this which renders him unique. And it is thanks to this uniqueness that he works for us and not in a place where individuality is non-existent.